Why did the doctrine of selective salvation gain so much appeal 400 years ago? There are two basic reasons. First, the Reformation brought about great doctrinal instability. There was no official church doctrine for the Reformers, and this void was fertile ground for a variety of new doctrines. Second, the culture of Europe 400 years ago (the elite societies with their inherent superiority) greatly influenced the formation of the Reformers' new doctrines. The Reformation brought about a large number of changes in Christendom. For the first time in over a millennium, the Christians were not told what to believe. They had the liberty to decide for themselves what they felt was true. Added to this, the Bible was now in the language of the average person (up to this point only church leaders had access to the Bible). The Reformers were now able to study the scriptures themselves and draw their own conclusions. Although we take this privilege for granted, it was something very new back then. Many Christians were not equipped for studying the Bible themselves. They were not aware of the extreme importance of studying scripture in its context. At this point, there were a large number of Christians creating a brand new doctrinal stance from scratch. Although it would be nice to say that secular culture pressure does not influence Christian culture, it does. Travel around the world and you will see that a church culture varies greatly, depending on the surrounding culture. The same problem was prevalent 400 years ago. When the Reformers were creating their doctrinal stance, the social culture of the 1500s was fertile ground for the doctrine of selective salvation. The feeling of inherent superiority was a basic part of their culture and it rubbed off on the Christian culture. Europe, of course, had its royal families who were in a special class all of their own. There was a tremendous feeling of inherent superiority amongst these people and they were quite vocal about it. Although we take equality (all men being created equal) for granted, the concept was very foreign to them. The existence of privileged classes was just an accepted fact of life. The superiors lived in excessive abundance while the inferiors lived in deplorable and deadly conditions. It wasn’t only the "Royals" who felt superior. 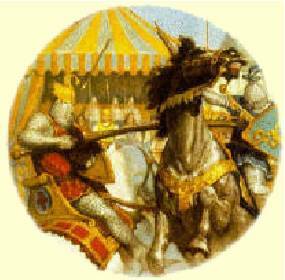 There were other elite groups, such as the Knights with their chivalry and the "gentlemen." These gentlemen are different from our present day gentlemen. We usually think of a gentleman as someone who opens the door for a lady, etc. Yet, back then, a gentleman was a person who was part of a special class. There were a couple of unique things about these gentlemen. First, they were governed by a strict code of honor and giving their word "as a gentleman" was very binding. Second, a gentleman would never stoop to do the manual labor of a "commoner." This is one reason why some of the early colonies in the New World failed so miserably. The culture of inherent superiority was fertile ground for the doctrine of the selective salvation. Since people were used to the idea of God making special classes here on Earth, the teaching that He would make a special class for salvation didn’t raise red flags with many people. It actually fit in quite well with the scheme of things. Since the people promoting this doctrine felt they were part of the elect (thus they weren’t the ones going to Hell), the idea of selective salvation didn’t seem to be too unfair. The popularity selective salvation gained during this era is still felt today. Many Christians say, "I can’t understand how selective salvation ties in with the rest of the Bible, but since many credible denominations and popular preachers teach it, there must be some truth to it." They feel the thrust of the Bible centers on God’s love for the whole world and His desire to bring it back to Himself. It talks about His burden for all of the lost and His desire for their redemption. They feel that the concept of selective salvation contradicts the main thrust of the Bible. I believe if a person were to be cut off from cultural influences and would study the Bible totally in its own context, he would not conclude it teaches selective salvation. I believe if inherent superiority (Royals, etc.) was not so fundamentally a part of the culture 400 years ago, the new teaching of selective salvation back then would have raised multiple red flags and would have faded away. As a result, I don’t think selective salvation would be influencing today’s Christian culture. I feel if the doctrine of selective salvation was not so prevalent in today’s Christian culture, most Christians would question its validity much more carefully. Unfortunately, many Christians feel that since many great Christian leaders teach selective salvation, there must be more to this doctrine than what meets the eye. Therefore, even though they don’t understand it, they feel there must be some truth to it. Even though it appears to contradict the rest of the Bible they feel it must be one of those "hidden mysteries." I am not saying no one would believe in selective salvation apart from cultural pressures, I’m just saying it would be far less popular. In the following chapter (Are All Men Created Equal?) we will cover the issue of inherent superiority further. It will contrast our current "equal" society with the society of Europe 400 years ago.